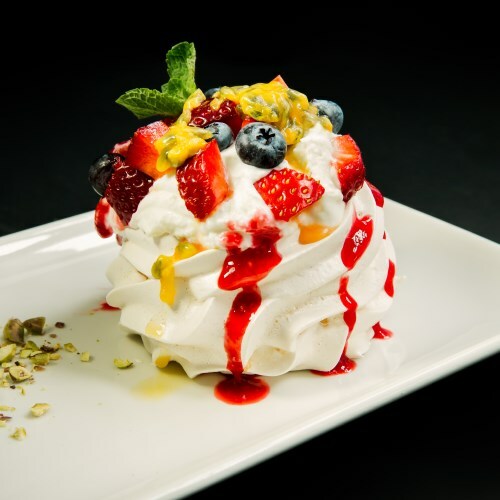 Don´t be late- early booker promotion for summer 2019 has began! Lovely guest apartments in the center city of Kuressaare, Saaremaa island, Estonia. Two apartments have a sun terrace and third has a private entrance. Our mission is to make vocations joyful and easy especially for families with kids. With a sandbox for children, outdoor furniture and a barbecue. 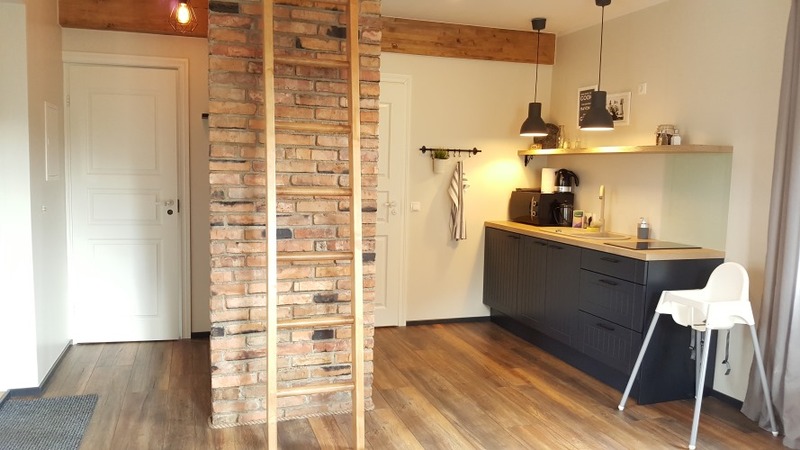 A lovely renovated house in the centre city of Kuressaare (Saaremaa island) with three family-friendly and well-equipped guest apartments. Two apartments have a sun terrace and lovely yard. Third apartment is on the north side of the house and it does not have a terrace, but it has a private entrance. Bright and well-equipped two-story (50m²) scandinavian-style apartment with terrace. Apartment has 2 bedrooms and a livingroom with kitchenette. Cosy and well-eguipped two-room apartment (35m²) with sun terrace. Apartment has one bedroom and a living room with kitchenette. Stylish two-story apartment with private entrance (35m²). It has a livingroom with kitchenette and a bathroom in the first and one bedroom on the second floor. Take a look at our house gallery and streetviews. Kuressaare is a great place to be not only in the summer time but also in winter. Our guest apartments have a great location, their family-friendly decorated and well-equipped. Our mission is to make vocations joyful and easy especially for families with kids. Everything is just a walk away. 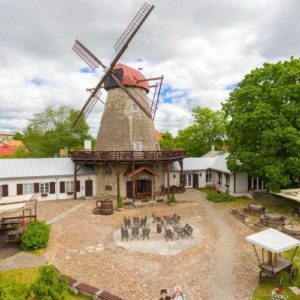 Located in the centre of Kuressaare: 30m Saaremaa Windmill restaurant, 300m grocery and department store, 350m centre of old town with cafeś and restaurants, 1 km castle and beach. No need to pack-up your entire home. We have decorated our rooms and yard family-friendly. We have toys, a high chair, a pottie, a toilet seat, a step stool and a sanbox in the yard. Ask also for a changing table if needed and about a stroller rent. Enjoy the sun and fresh air. We have a nice sun terrace with outdoor furniture and BBQ facilities. There are dining table and chairs for a nice outdoor meal, sun lounger chairs for sunbathing and a sandbox for children. 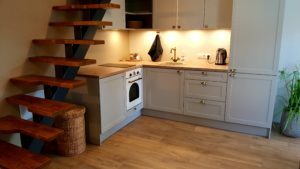 We have well-equipped kitchenette with a fridge, a stove top, a kettle, a coffee machine (Paulig cupsolo) and kitchenware (pots, pans, plates, bowls, wine glasses, cutlery etc). We have a washing machine, a drying stand, a hairdryer and a hair straightener for adults and a pottie, a toilet seat and a step stool for children. Also towels are provided for each guest. We have all facilities needed to have a comfortable long term vocation. You can also order a cleaning lady. Ask for a price offer because longer periods mean bigger discounts. 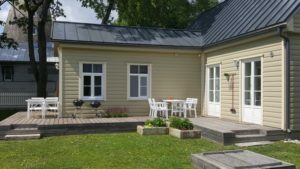 We have the best guest apartments for families in Kuressaare city, Saaremaa island, Estonia. 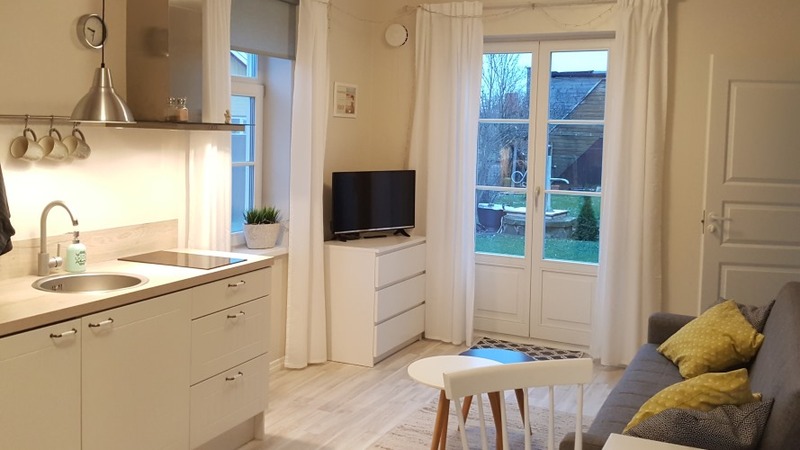 All you need to see in Kuressaare city is only walk away from the Kuressaare Family and Garden apartments. No need for taxi or car. 30m from the apartments, across the street is the nearest tourist destination, Saaremaa windmill, which nowadays is a restaurant. It serves local Estonian cuisine. It also has a playhouse and a sandbox for children in the yard. Must see- only 900m from the apartments. 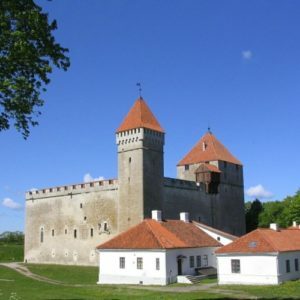 Kuressaare castle is considered one of the best preserved medieval fortifications in Estonia (dates back to 1380s). Today it is a beautifully renovated complex with a wonderful view to the sea, city and marshmallow around it. Only 800m from the apartments. A great place to go with your hole family. A place where everyone will find an adventure. It is located in a nice small forest at the end of the Kaevu street. Very easy to find. Nearest SPA which is 600 m from the apartments. 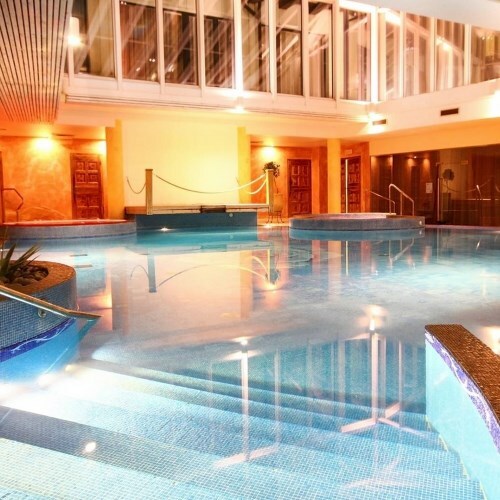 It is a cosy SPA which has day tickets and is suitable to go with kids (baby pool and high chairs). They also serve food and drinks by the pool. 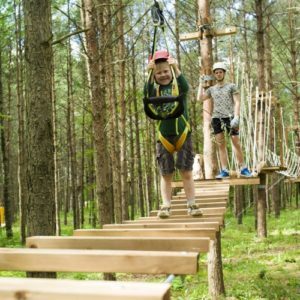 600 m from the apartments a great place to go with kids and have some fun as well as new knowledge and imagination about medieval times in Estonia. Suitable for younger and also older children. 500 m walk away oldtown restaurant with a terrace and a decent playroom for children (best for ages between 0-6). Serves also Asian food and sushi. Great entertainment with bad weather. 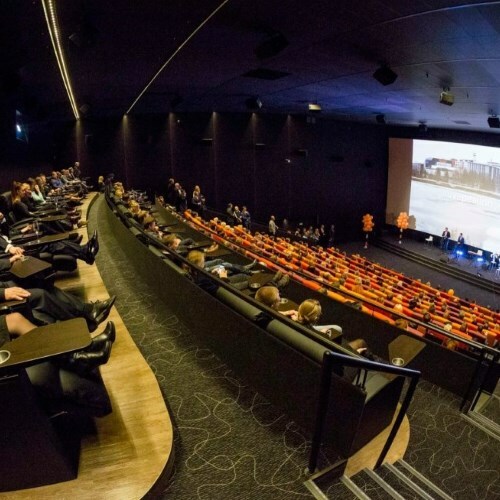 This local cinema is located in the Auriga shopping centre second floor. It has 2 halls and a great service. It is 2,6 km from the apartments, but a very nice sidewalk through the city. If you have a car you should visit Kaali crater. It is about 10 minutes drive (17km) from the apartments. 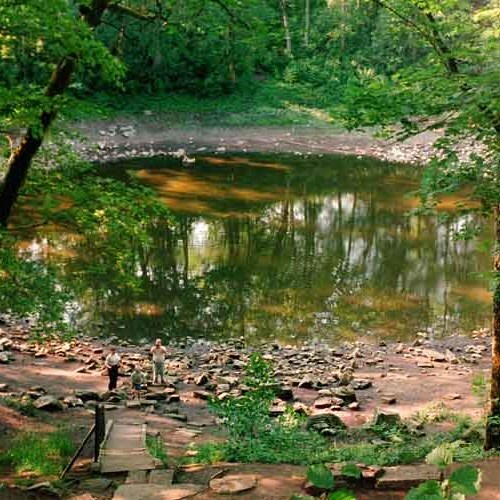 It is a big hole made by meteorite which fall down about 7500 years ago. There is also a small museum. 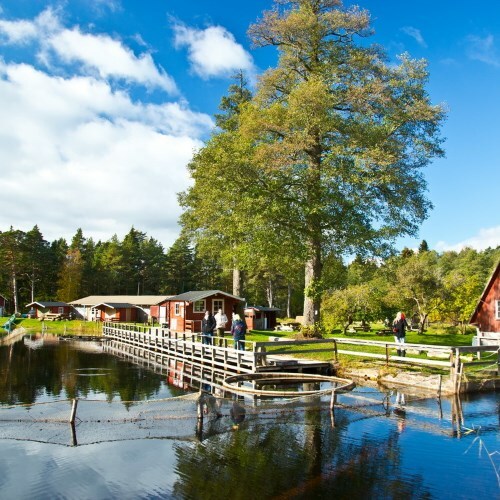 Best place to go when you like Estonian beautiful nature and fishing. They help you catch trout from the lake and they can grill it for you. There are also boats to ride with and a playground for children. My name is Kadri Kotkas and I am the hostess of Kuressaare Family and Garden apartments. Therefore feel free to contact me with further questions or a price offer.